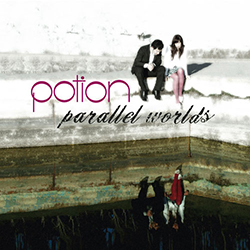 Potion, the indie-pop duo, has just released their debut album “Among Dreams” which can be described as nothing short of great. The album is rich with wonderful, timeless melodies and a wealth of beauty and sincerity. 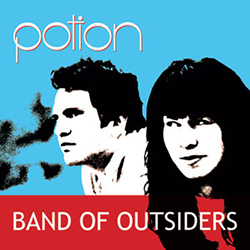 Fresh out of San Francisco, nurtured on universal sounds, Potion has no spiritual homeland. Potion creates imaginary and symbolic worlds outside of time and space. 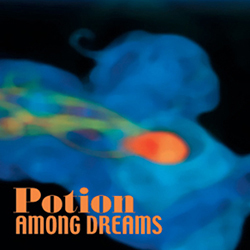 Produced, written, composed, and performed entirely by Potion (Annie Maley/ Michel Diaz de Bedoya), “Among Dreams” is a testimony to the imagination and versatility of the band. 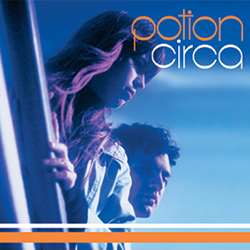 The Music uses eclectic rhythms and samples as its ambient sonic base. Melodious guitar layers support their gentle and hypnotic pop vocals creating the sound track to a magical, musical journey.